When termites swarm, it means a group of termites leave their current colony in search of a new place to begin their own colony. A swarming is produced as. 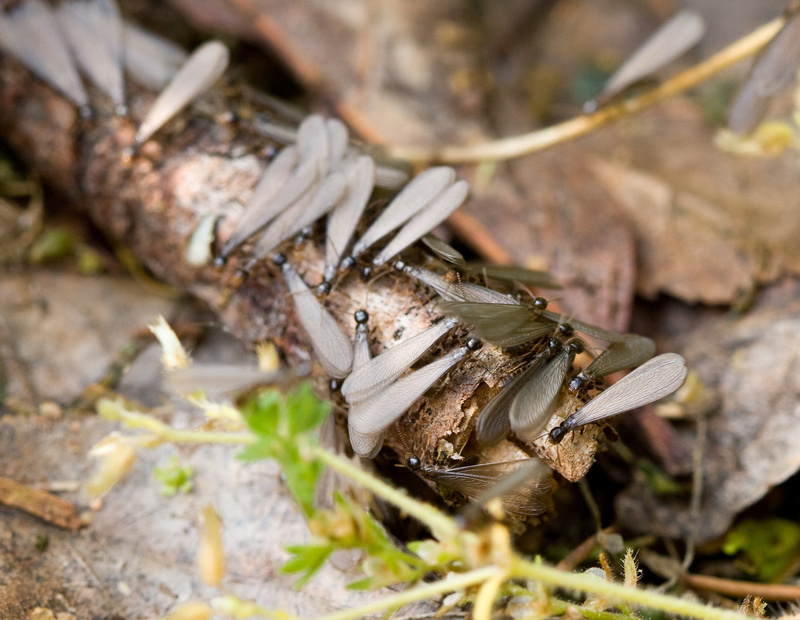 Some of the most destructive termites in North America live throughout the Okanagan. Bugmaster in Kelowna has witnessed the thousands of dollars in damage these subterranean termites have caused each year. Knowing the subtle signs to watch for and what preventive measures to take will help you protect your property this spring. Subterranean termites nest and live underground. 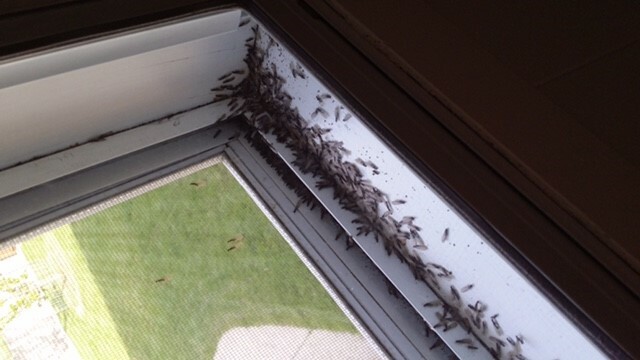 Once the young termites develop wings, they leave their colony and typically land nearby. They’re the most visible when they’re swarming. If you witness a Hitchcockian swarming of termites, you either have an existing problem or you’re in risk of a termite invasion. Termites thrive in a colony, and begin swarming in order to reproduce. A female termite will become the queen of the new colony, and can lay a million eggs over her lifetime. Swarming in Lake Country, BC. All structures are at risk including brick, steel and timber construction. They feed on everything from lumber, firewood, newspapers and other cellulose materials if they have access. Termites will cause extensive damage to your home if they are not dealt with quickly and professionally. If they’re caught after the damage has been done, the repairs are often expensive. Termite Damage in Lake Country, BC. Termites commonly enter your home through tiny cracks in your home’s foundation, basement, or elsewhere around your home. As stated above, checking crawl spaces is the best way to detect them. Repair roof tiles, cracks in your foundation, replace damaged wood and keep moisture or mulch away from your home. Since mud tubes and damaged wood is the most obvious sign of an infestation, check subfloor areas and outside your home for those signs. Finally, keeping your basement, attic and crawl spaces well ventilated, secure and dry will reduce the chances of a termite swarming. Termites are difficult to detect and are rarely noticed until the damage has been done. They're known as silent destroyers because it only takes a short few months for termites to cause substantial damage, so early detection is your best line of defence. Since subterranean termites nest underground, the first place to check for damage is closest to the ground, particularly near crawl spaces. 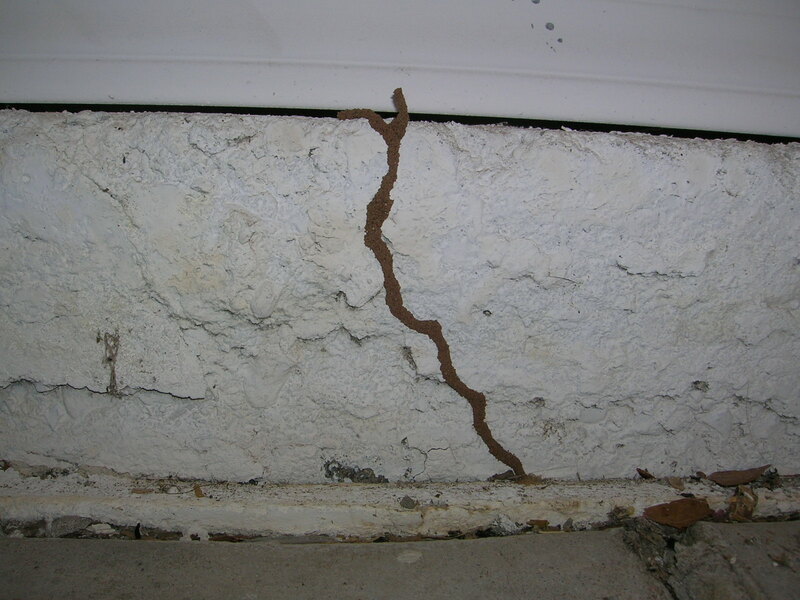 If you notice mud tubes along walls or any damage to the wood structure, then a termite infestation is likely. Discarded wings on window sills or around cracks and crawl spaces, soft or hollow wood, uneven or bubbling paint or light, wood coloured droppings that resemble sawdust are all important signs to watch for. Contact a qualified pest control professional immediately if you suspect you have a termite invasion. BugMaster will provide a free assessment and will advise on various control options that would be appropriate. If you detect termites on your property, contact BugMaster immediately to get rid of termite colonies quickly and effectively.